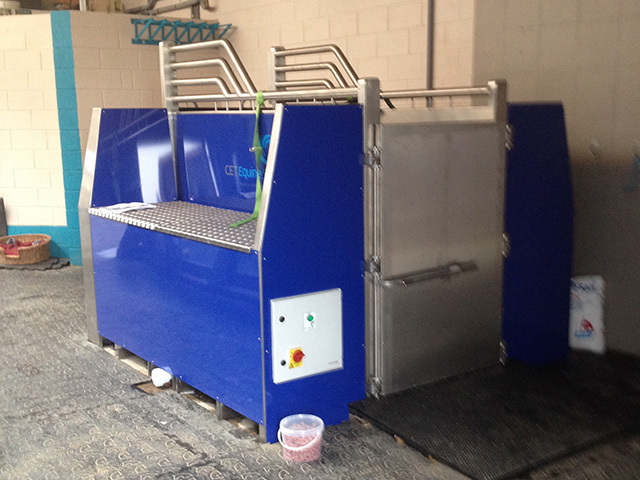 The fully integrated equine spa built of 3 sections. The compact form of the spa is suitable for sites where access is limited, i.e. the door has a width of less than 2.8 m (110”). The water tank and filter technology is placed left and right of the treatment unit, respectively. 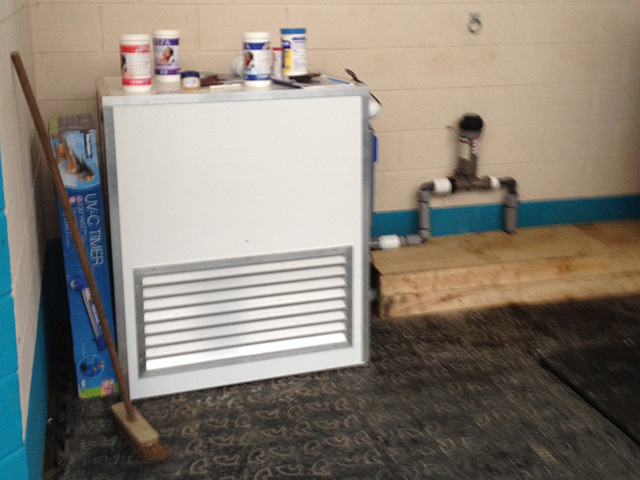 The chiller unit is separate from the spa to minimize noise level, and is usually placed near the spa. Integrated filters, pumps, tank and blower. Triple filtration system protects the pump and offers optimal performance. No expensive inefficient filter cartridges to continually clean or replace and no need to add potentially hazardous flocculent to clarify the water. Externally sealing doors with single locking lever for rapid and safe operation. Quick release anti-rear strap and 2 horse faecal collection harnesses. 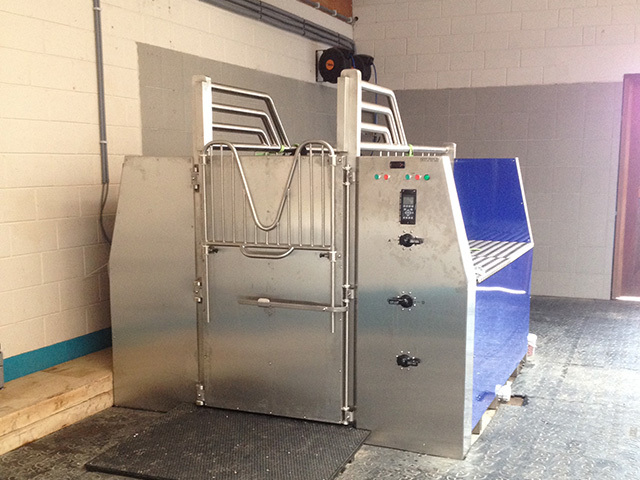 Infinitely variable air controls and low noise blowers to keep the horse relaxed. Fully insulated tank, pipes and spa minimise heat gain and unnecessary chilling expense. Temperature of water in treatment chamber is displayed constantly on the front of the spa. Water in treatment chamber is constantly chilled to maintain therapeutic temperatures during the whole treatment process. Four year guarantee on the spa body. 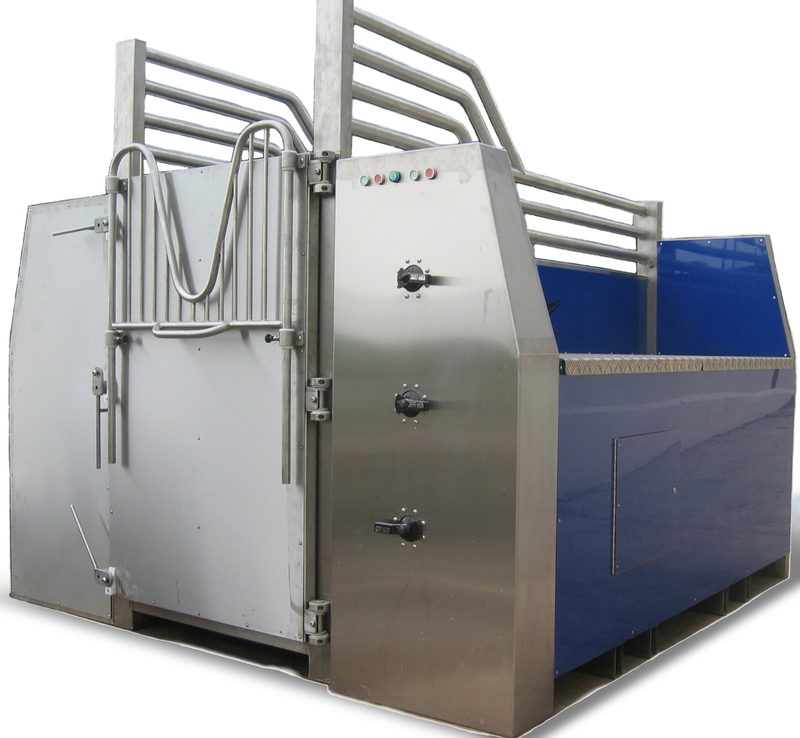 Raised safety side-rails and neck-guard for the protection of both horse and operator. The variable speed pump enables rapid fill and emptying of spa, which reduces running costs by up to 80%. Inline sanitizer eliminates the need to constantly add chlorine. UV Ozonator reduces chemical usage by up to 90%. Half door [single lever locking mechanism – no unbolting required]. Electrical components are manufactured to CE or UL standards as appropriate. Low noise low temperature chiller. Choice of RAL colours. Please ask for details. 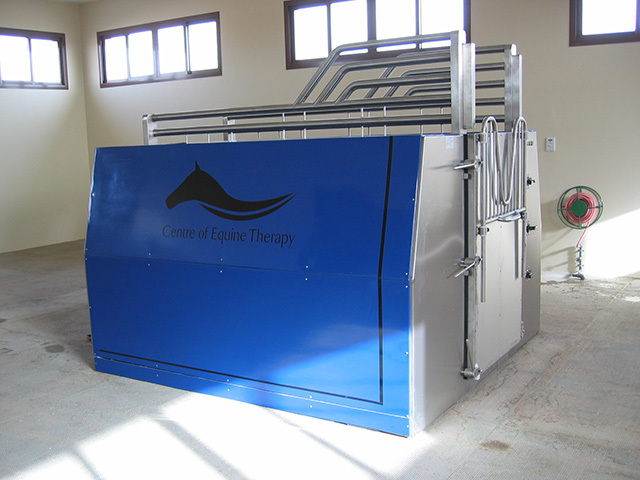 Whether you own a racing yard, livery stables, riding school or have an existing equine clinic, a CET Equine Spa is a valuable addition to your equine operation. 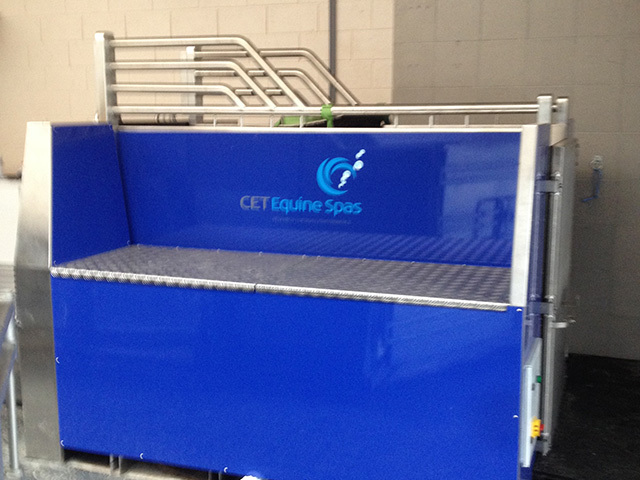 The CET Equine Spa is the ideal business opportunity for those already involved in the horse industry with suitable premises and stabling to allow for the set up of an equine spa therapy centre. Alternatively, you can build your own specialist equine therapy centre around the equine spa, which is becoming an increasingly popular option. As all spas are built to order, this allows us to accommodate any special requirements you may have. To explore this exciting business opportunity and receive further information please do not hesitate to contact a member of our CET Team.